Selling your house: should you pay attention to house price indices? What’s stabilising, slowing, falling, rising at a slow pace, enjoying a surprise increase and skyrocketing, all at the same time? The answer? UK house prices. If it seems like you encounter a different – and conflicting – headline every week about house prices, that’s because these stories are based on a whole suite of monthly indices operated by everyone from the Land Registry, to mortgage lenders and property portals. Here, we explore the diverse and complicated world of house price indices, and offer expert advice on whether sellers should really sweat over the figures they see in the newspaper. If you’re thinking of selling your home and would like advice on your mortgage options, call Which? Mortgage Advisers on 0800 197 8461. There are many house price indices out there, but the majority of media attention focuses on five of the biggest players – Land Registry, Nationwide, Halifax, LSL/Acadata and Rightmove, all of which publish their data once a month. And this regularity is pretty much the only thing these five indices have in common, as they use different datasets, methodologies and sample sizes to make their calculations. We’ll explain more about the specifics later, but the table below offers an at-a-glance look at how the biggest indices work. Rightmove Rightmove listings Property listings 100,000 England & Wales Asking prices increased by 0.4% in March, fell by 0.8% year-on-year. Editor’s note: This article was updated on 10 April to clarify that the UK House Price Index is owned by the Land Registry, not the Office for National Statistics. The UK House Price Index (released by the Land Registry) offers the most comprehensive data on prices, but it comes with a significant lag. We spoke to Neal Hudson, the founder of Residential Analysts, about the pros and cons of the index. One of the main benefits of the index is that you can search by local authority, which allows for a more forensic examination than other indices. Beware, though, of authorities with few transactions – as data for these can be volatile. Pros: more specific than other indices, biggest sample size, used by Bank of England as preferred measure of house price inflation. The LSL/Acadata index also uses Land Registry data, but analyses it in a slightly different way. LSL/Acadata claims that only 38% of sales are reported in a timely fashion to the Land Registry, resulting in ‘untimely’ findings. LSL claims to have solved this issue by creating a custom-built ‘index of indices’. The government’s advice on the LSL Index says that, simply put, it expands on Land Registry figures by using a forecasting model to estimate prices for the latest month. Two of the ‘big five’ indices – Nationwide and Halifax – use their own mortgage approvals as the basis for their data, which means they might not show the full picture. Oliver Knight, a residential research associate at Knight Frank, told Which? ‘one of the limitations of these mortgage-based indices is that they don’t include cash sales, which make up around 30% of transactions in the UK’. There are also differing methodologies to contend with. The Halifax index uses a weighting system based on 1983, while Nationwide updates its weighting every two years. This may go some distance to explaining why their findings are so different. Thankfully, it’s a little easier to explain the Rightmove Index, which is based solely on properties listed on its portal. 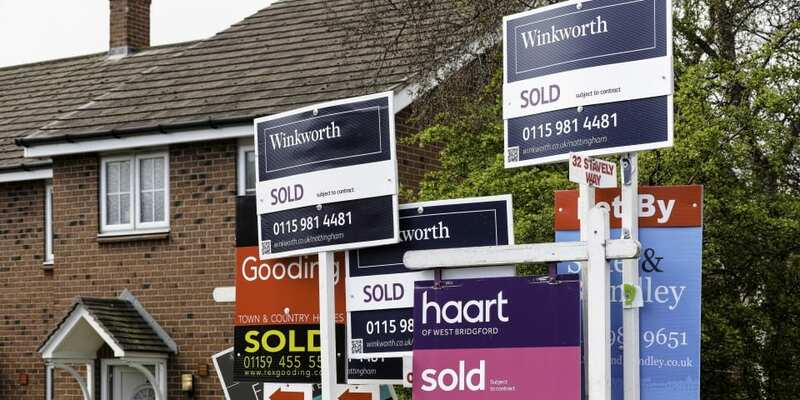 This means it uses asking prices set by sellers and their estate agents, rather than ‘sold’ prices or mortgage approvals (Nationwide and Halifax). Of course, this method isn’t fool-proof either, as asking prices tell us what a seller wants, not necessarily what they’ll get. Selling your home: what do house price indices tell you? If you’re thinking of selling your home, it’s important to not get too stressed out by house price indices. Yes, it’s a time of economic uncertainty and it remains to be seen what will happen with Brexit, but right now there are no signs that the floor is falling out of the property market. They’re the best indicator that we have, but the truth is that indices can only tell you so much – primarily because there’s no such thing as an average house. Think of it this way – if there are two houses on a street and one rises by 5% and the other one falls by 5%, does this mean that prices haven’t changed at all? As Neal puts it: ‘Indices only tell us about average prices in an area. The price your home will sell for depends on its characteristics and a willing and financially able buyer being prepared to pay a price you’ll accept. ‘Even within local areas there can be a wide distribution of prices and price changes’. Oliver echoes these thoughts. He says: ‘Indices are a good method of understanding underlying trends, and they can be helpful to gauge the health of a market when viewed alongside other indicators. If you’re looking to sell your house, you might be concerned about early repayment charges on your mortgage, or be wondering if you can take it with you. To chat to an expert about your mortgage options, call Which? Mortgage Advisers on 0800 197 8461 or fill in the form below for a free callback.